Hope this won't ...ruffle your feathers!! LOL!! 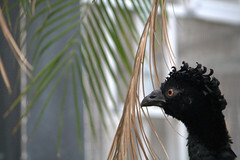 I shot this at the brand new McNeil Avian Center at the Philaelphia Zoo.